Bill’s Pawn & Jewelry address, phone, website, hours of operation, and more. 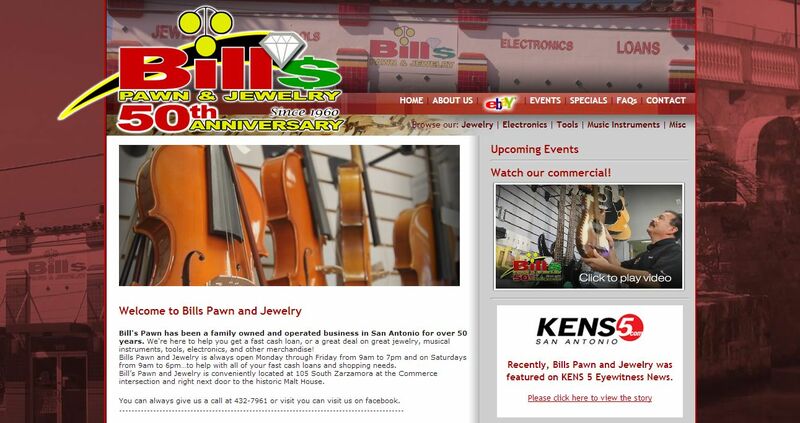 Bill’s Pawn & Jewelry has been family owned and operated business in San Antonio for over 50 years. We are a member of both the Texas Association of Pawnbrokers and the National Association of Pawnbrokers. Our staff consists of nine employees, all ready to help you in getting either a fast cash loan, or a great deal on used merchandise. Our convenient location west of downtown San Antonio provides a fast friendly atmosphere to assist you in your needs. Our friendly staff is happy to help you get either that instant cash loan, or find that incredible bargain you’ve been looking for. We are here to serve you, our community.